More than 3000 scam ads that were tech supported were recently purged by Microsoft. The multi-national brand has played abode to many such scams with most of them being linked to their TechNet support domain that goes by the name of “gallery.technet.microsoft.com”. The issue was put to the notice of the public by Cody Johnston, a fake ad hunter. The advertisements that were taken down bracketed a variety of support issues comprising of Google Wallet, Instagram, and virtual currency sites. Johnston could find a total of 3090 results ranging from August 2018. 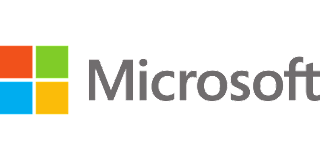 The issue was reported to Microsoft and newer ads were put in the place of the scammed ones which were pretty easy to locate with the help of Google Search. Microsoft couldn’t anticipate the severity of these advertisements and given this the scammed ads multiplied soon. High ranking domains could be bought fairly easily by placing ads like these and cheating customers could become all the more simple. Companies must have manual routine checks as the issue deserves taut security. The substring of any of the top domains that go by the names of Spotify, Tinder, Turbo Tax, Linksys, Salesforce, and AOL could play the part of a booster for all the tech scam ads. There is an enormous number of scammed ads that are still prevalent, the reason being that the error was never managed to entirety.